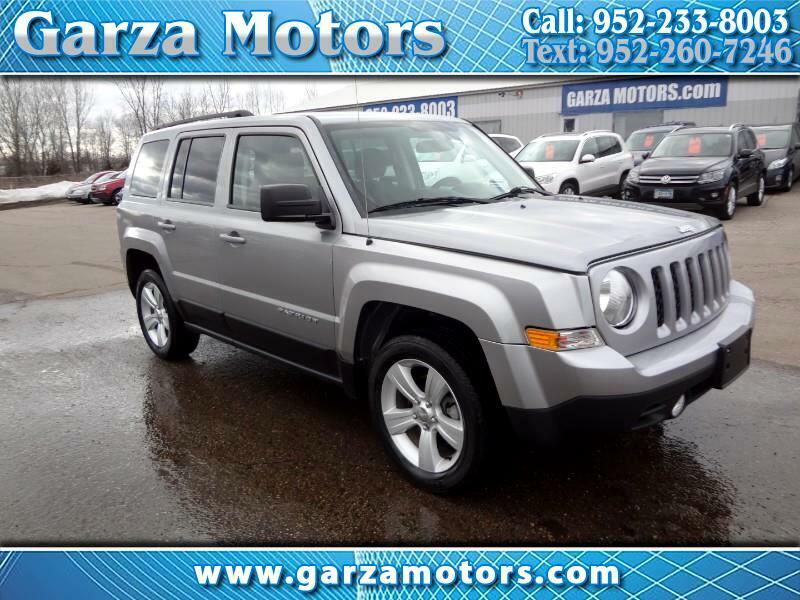 **Only 21k Miles** 2014 Jeep Patriot Latitude 4wd 4 door suv with 2.4 liter 4 cylinder engine, automatic transmission, remote keyless entry, power locks, power windows, alloy wheels, low low miles, runs great! **Prior Salvage Title** Front bumper, right fender were replaced. No air bags were deployed. We have original pictures in our office. SAVE BIG $ $ $. Passed State Inspection. Comes with a 4 month/4,000 miles Warranty! Rates starting at 3.99% for GOOD CREDIT, For NO CREDIT we have a FIRST TIME BUYER PROGRAM, For BAD CREDIT we have a RE-ESTABLISH CREDIT PROGRAM.